I’m not a food critic by any means. Anyone close to me can tell you that I don’t venture much out of my comfort zone, and unless my husband is cooking – I’m having cereal for dinner. Obviously, I’m not much of the gourmet food connoisseur, so me as a wedding photographer writing about an upscale restaurant may seem a little unorthodox. I promise, if you’re a bride looking for an interesting new venue, a couple looking to celebrate their anniversary, or you just want a nice new location to try this blog is worth your time. 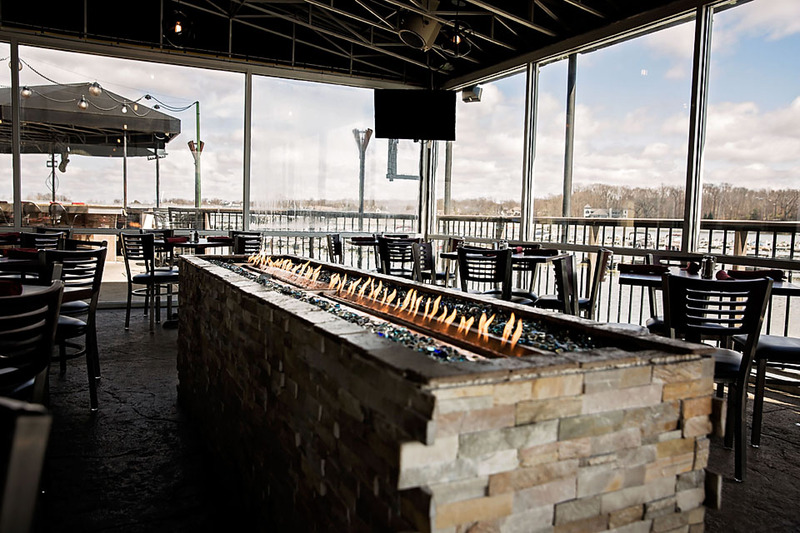 Bella Vita, a beautiful waterfront restaurant in Geist, has recently been rebranded to The LakeHouse at Geist. With the same ownership, and new additions like food expert Chef Jay Mills, the restaurant has come back and better than ever. Robyn Breece, a local realtor who has completely changed the way consumers now look for new homes, learned about the changes and reached out to for an interview. Chef Jay Mills welcomed Robyn, Move Photo, and Belinda Marie Photography into the restaurant giving us the VIP tour, and made a few delicious dishes and drinks from the menu. I do not like any type of seafood or fish, but after some pressuring from the group I gave the blackened tuna a try, and I’ll just say my world was turned upside down. I was in love, and have not stopped talking about the food since we left! To see the interview with the Chef, which is now the 9th episode of the Robyn Breece show, click play on the video below. As you can see, this restaurant is not only worth a visit, but would be an amazing location to tie the knot. Wedding guests would not only be in awe over the remarkable view, but they’ll also be talking about “that one wedding with the delicious food”.